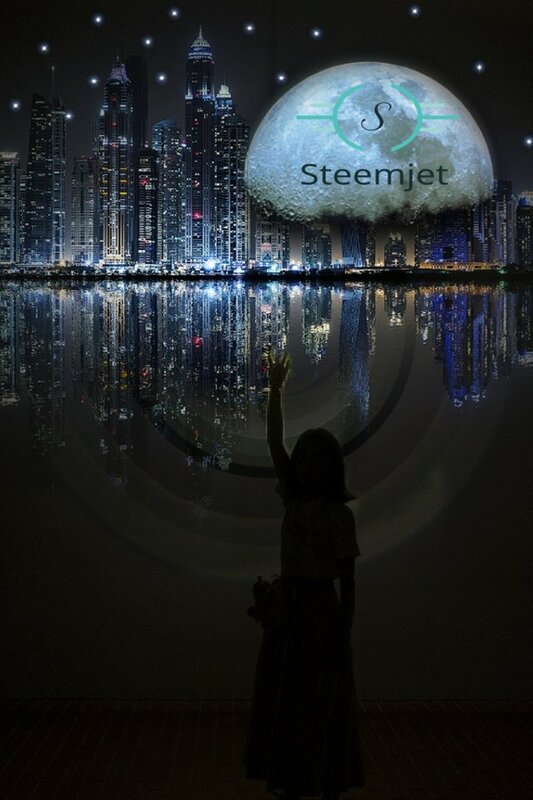 This contest is aimed to support #steemjet community attaining its goal of GLOBAL STEEM ADOPTION. 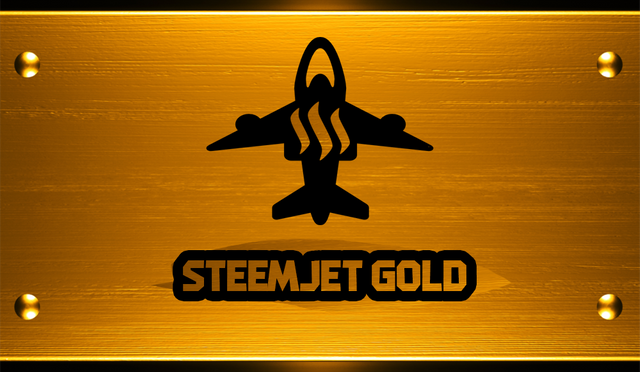 It is a talent hunt and maintaining the launch code 5 of the #STEEMJET SPACE FORCE. This contest was approved by the community accounts @steemjet , @steemjetcontests and the entire SF1 of the steemjet spaceforce by the usernames @lordjames (pilot) @deandaniel (the boss) @empato365(money man) and of course myself @mbj(Art guru, HOD Art Department) and will be resteem in those accounts. IT IS OPEN FOR EVERY STEEMJET MEMBER, SF OR NOT AND THE ENTIRE STEEMIT USERS. 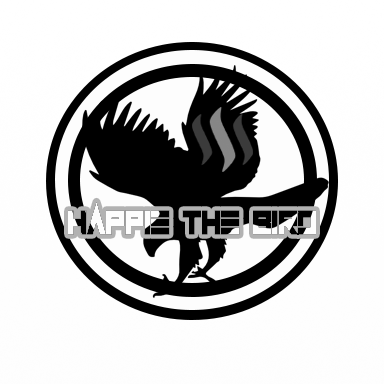 No much talks, "ARTISTS DON'T TALK TOO MUCH"
The images below is a guide(sample) of what you are expected to do. DO NOT COPY THE DESIGN, MAKE ONE BY YOURSELF!!!! The best illustrator goes home with #10SBD, second #5SBD, Third #3SBD and Fourth #2SBD in seven days time. You must upvote at 100% and resteem this post . Entry ends on the six day of this post at midnight, winners will be announced on the expiration of this post. Entry will be scored base on keeping the rules and making the best mesmerizing representation or illustration and as well giving a meaningful benefits of STEEM adoption in the market. GOOD LUCK EVERYONE AS I ANTICIPATE YOUR CREATIVE STORMS!!! OUR DREAM IS TO MAKE THIS A WEEKLY CONTEST. THE ROOM IS OPEN IF ANYONE WISHS TO SPONSOR AND OR RAISE THE WINNERS PRICES. THANK YOU. 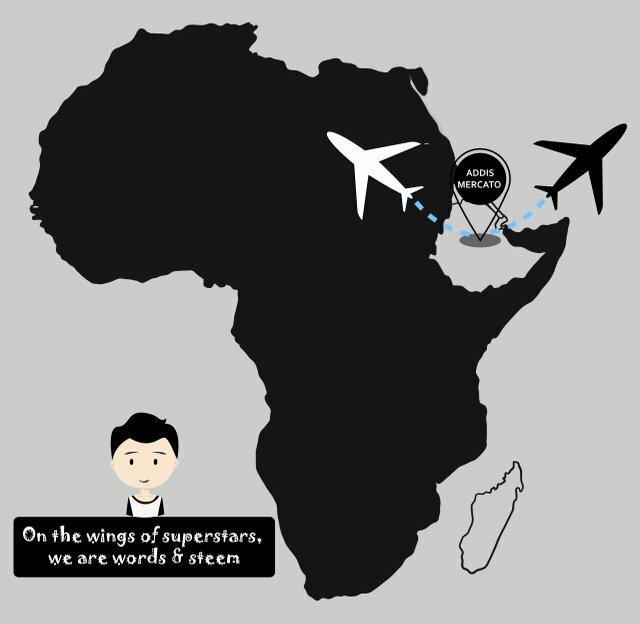 ON THE WINGS OF SUPERSTARS, WE ARE WORDS AND STEEM!!! #(1) cashless Society : Less robbery – the percentage of bank robberies in Sweden dropped from 110 in 2008 down to 16 in 2011 due to the fact that most Swedish banks don’t have cash anymore. The elimination of actual cash might even reduce black money and crimes such as money laundering. And Convenience – going out of your way to pay bills won’t happen anymore if you have a mobile wallet. Please can you give reference to your first point thank you. Effortless Transactions: Ever left home without your wallet (I know i have), The one thing we almost never forget is our phones. Now being able to pay without even an ATM card is a dream come true. Think of it as a wallet in the cloud that is so secured that even you can't get in if you forgot your password :). This benefits us in the sense that all we need to go out with is our mobile devices(finally). Speedy currency transfer and trading: Imagine you're in a hurry to purchase something with limited time and you're waiting for the bank to get an alert, Well that nightmare would come to an end if STEEM is adopted as a payment option because everything is done there on the internet so you would receive your payment in an instant. It's like liking a post on facebook, they don't have to wait 3-10 mins to see that you liked the post(well unless you have bad internet :)). 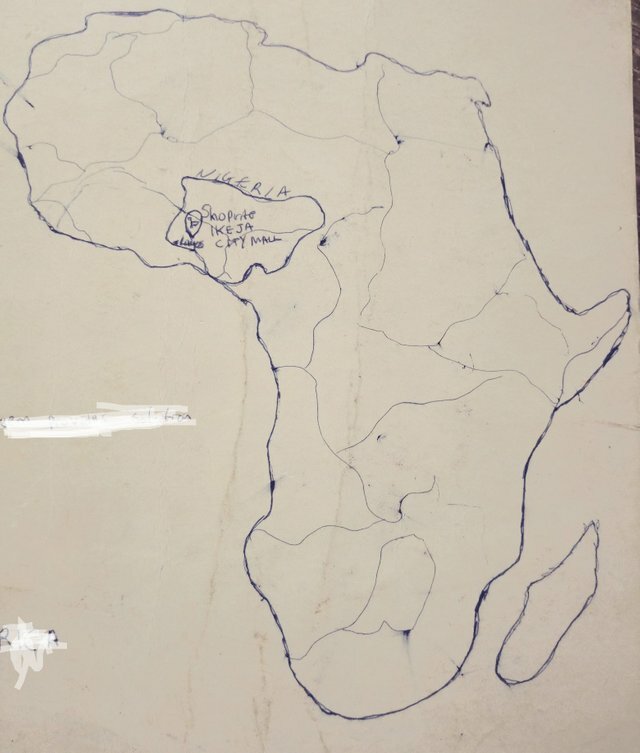 Nice work...I guess I will have to give some of my ideas too. The risk of going about with physical cash, that is, theft and misplacement or lost will be reasonably curbed. Since steem is earned via steem blockchain- Steemit, many more people will come know about steem as this is a very vital medium of promoting steem. Short, but your second point has no specific meaning to the question. 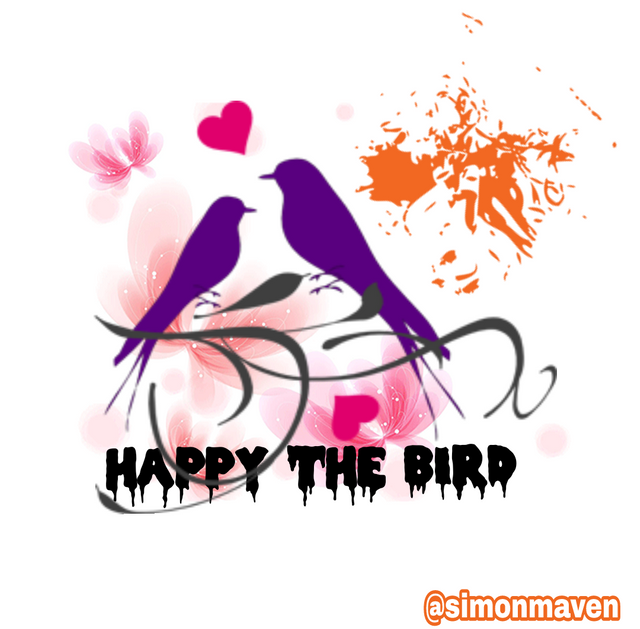 MY ENTRY FOR THE "HAPPIE THE BIRD" STEEMJET GRAPHIC CONTEST. That is great for steemitians to get attached with such wonderful project steemjet.. This one the great contest of the steemit community but one should follow the rules effciently..
Below, is my design and illustration!! Note: Download the image to see a clearer description. 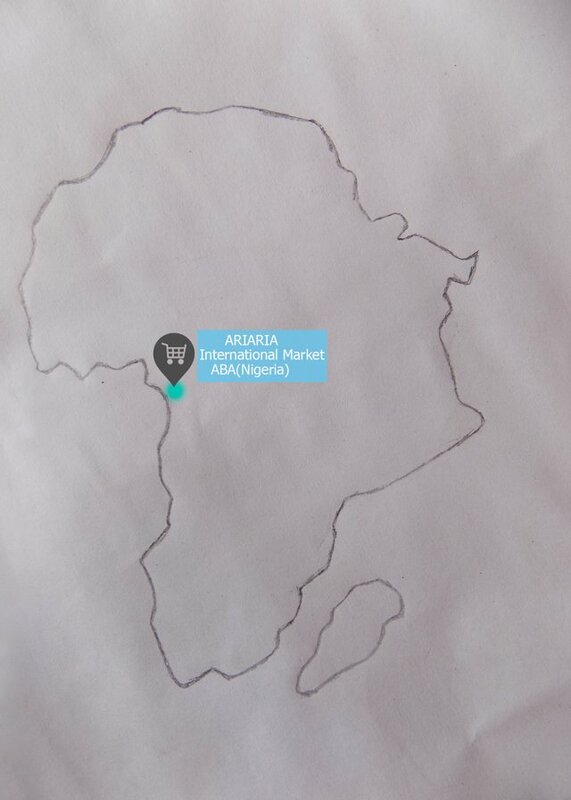 From, the above image, I made a research of 3 African major markets and it' location, which is backed up, with a mini-image. The Green Color, is a choice, because as a Designer and a certified surveyor. I do understand and believe "Green" signifies Freshness, Health, Money and Vitality. But, am only going to give the importance of Steem, if it's adopted by Khan El Khalili, Cairo in Egypt. First, the meaning of "steem". Steem a blockchain data base that supports community and social interaction with cryptocurrency and can be compared to "Reddit", where users have the free will to create and publish their articles (music, poetry, video, etc) and get rewarded for it. the main importance of steem is to serve as a medium of exchange. As a medium of exchange, Steem solves the barriers that comes with physical cash. Lending and borrowing, therefore must take place in terms of commodity, which will reasonably speak when physical cash is involved. But, when "steem", is been introduced, it would serve as a standard measure of payments. Therefore, making selling, buying, borrowing and lending very safe. 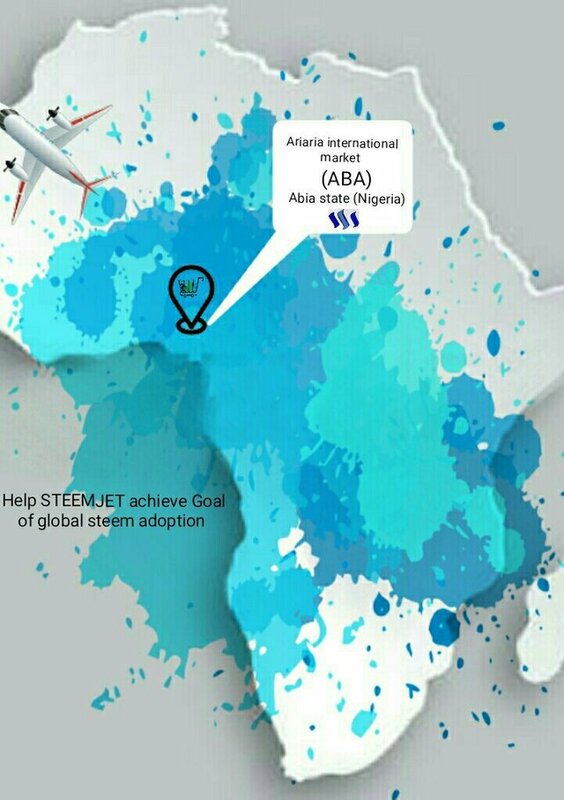 When steem is adopted as a means of payment for transaction in Ariaria international market it makes it go popular right from the market to the town and to the entire community. It also helps in ease payments and the speed of completing transactions in the market. Very short , good work my friend. More points would be appreciated. 1)It will introduce cashless policy into the market in the sense that payment will be made by transfering of Steem money from the consumer to the seller. 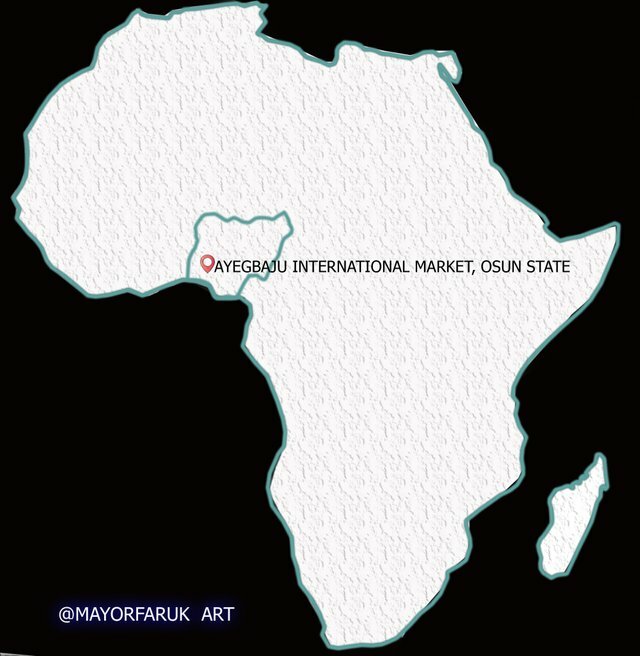 2)it will reduced the rate of risk in the market, the consumer doesn't need to go around with money before he can buy his goods from the seller in the market. 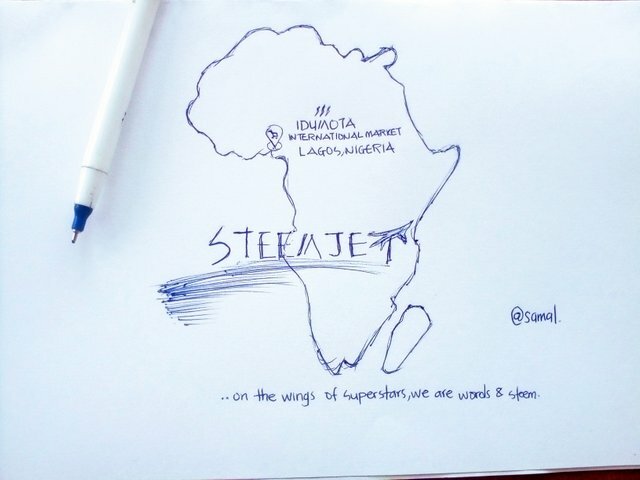 I think if Steem money is adopted it will favour the international market among the each continent. Great one again coming from the one and only @mbj and his team. it will really reduce theft in lagos, because no one will be going around with cash again. it will make it easy to pay for items that cost huge amount of money. people are on cashless policy right now with atm cards and pos systems, but this particular policy would be the best because you would safe all those little cash you spend on bank expenses like atm maintenance fees, sms fees monthly statement fees etc. you actually reduce the amount of money you loose. no issue of stolen atm cards or issue of hacking accounts because as we all know it impossible to hack wallet. I have been there, a superb place to learn about cons and fakes. 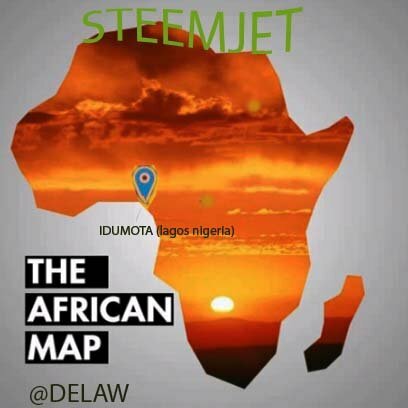 Serves as an example to other market: imagine if the biggest market in the continent of Africa adopts steem, this means other markets in the continent of Africa would also adopt steem. This is because, Addis Mercato would advertise the benefit and wonders of steem to other markets, and other markets wouldn't want to be left behind. Easily accessible: we all know steem is easily accessible, all you need is a smartphone, and an internet. Just imagine a market where you don't have to carry cash all around, and when you see something you like, you don't have to run to the ATM to withdraw first, instead you could just easily access steem. I bet you like this idea. I will enter very well in a project and contests very early, I think it's a very effective Contest to thank you for this Contest. please read about the contest and know what you are expected to do. thank you. 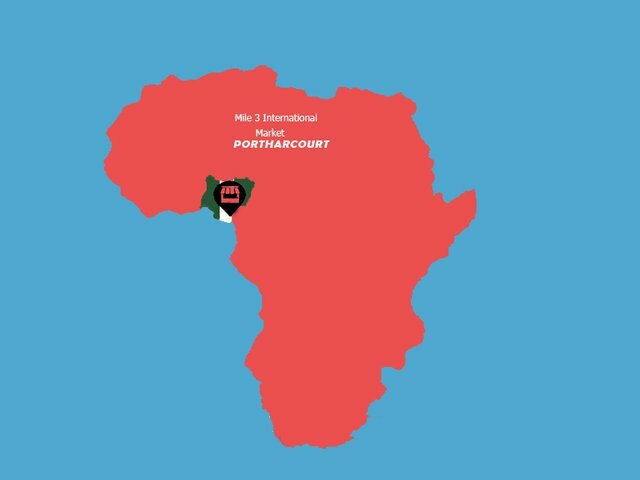 My entry for the benefits of steem (cryptocurrency) in an international market in africa. Identity Theft: When you give your card details to a merchant, you give him or her access to your credit card, but with cryptocurrency the customer sends exactly what he or she wants to the merchant or seller with no further information. Access to Everyone: There are approximately 2.2 billion individuals in the world with access to the internet, these people have can easily have access to cryptocurrency, which is easily used for transactions. Using cryptocurrency as a means of payment will implies that transactions would be carried out online thereby eliminating the need to carry money around and reducing the rate of robbery and pickpocketing. When using credit cards to carry out transactions, you risk identity theft and the merchant collecting more than was bargained but with cryptocurrency, risk of identity theft is reduced and money can't be syphoned out since you are the one controlling the amount leaving the account. Mile three is not an international market.. Good luck next time and thanks for your effort. Two benefit if steem is adopted as a method of payment. it has been discover that the economy of one nation affect the living of it habitant and decrease the standard living of people living in it. 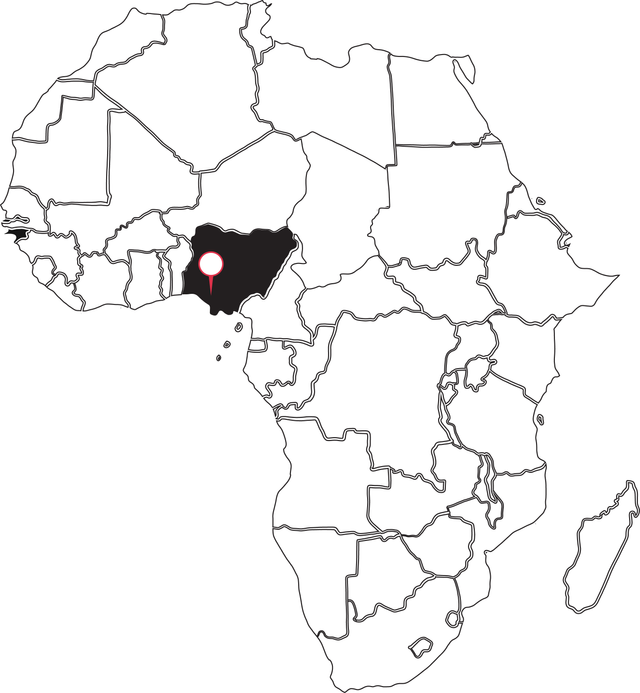 Nigeria has one naira as a currency but today is not Valid, but 1 steem what so much in so many country. secondly one can be able to save his or her money in form of steem, there by reducing the long number that is been called. Like 30million will reduce to a small amount depending on the exchange rate. 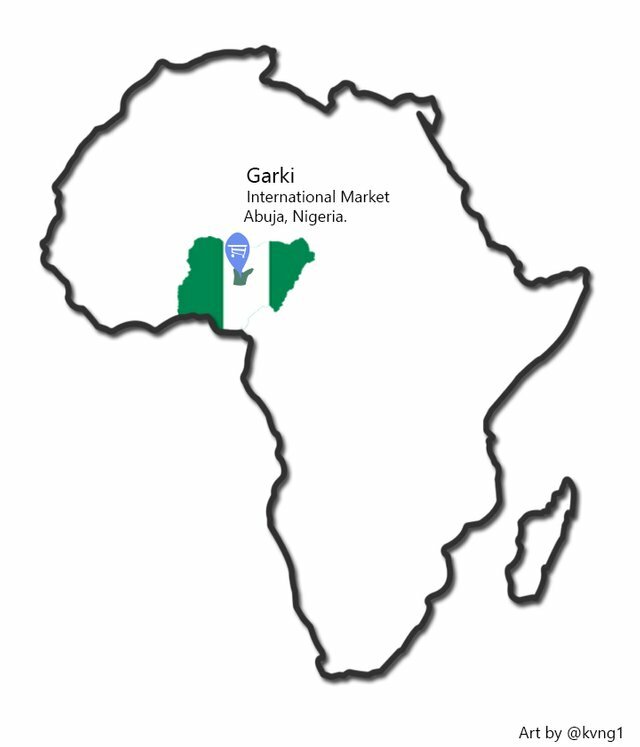 A market involves buying and selling,hence it must be fair to bothe the buyer and seller. These benefita will cover both parties. 1. 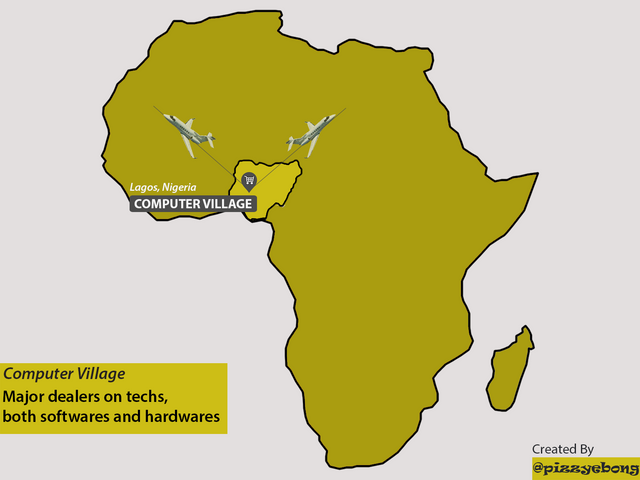 Profit Making The Computer Village Market is already adopting blockchain technology as various shops are accepting cryptocurrency payments, so there will be no sign of resistance to paying with STEEM. Buyers as we know are in the business of making profits and when they accept payments with STEEM, there is a higher probability of making more gain when monetized as STEEM value is always on the rise. For example, the N780 for 1STEEM today can be N950 the next day or hour. 2. Lower Crime Rates The Computer Village Market is also infamous for "anytime" robbery as both sellers and buyers tend to lose huge sums of money with no clue. STEEM introduces a "cashless" economy where buyers and sellers do not need to carry physical cash around. With these, there will be lower crime rates as there won't be large amounts of physical cash waiting to be stolen nor will anyone hold people at gunpoint to transfer STEEM to their account :). Thanks for your effort . good luck. 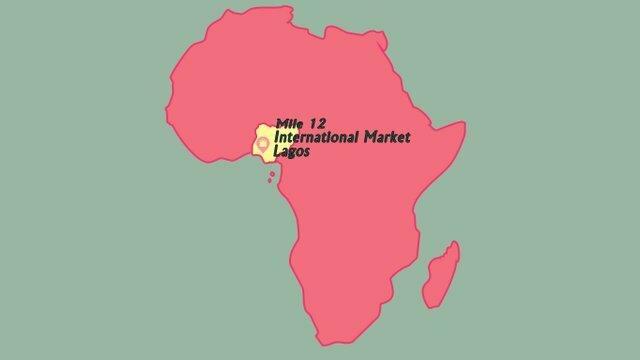 Mission road market is a major market in the south South region of nigeria, it is predominantly known for sales of computing and computer accessories. Accepting Steem as payment has several advantages over accepting cash, such as increased privacy for customers, access to a broader market for merchants, and fewer worries about customers canceling payments after they have received the items purchased. Cryptocurrency payments becoming mainstream is definitely still quite a long way down the road, but the question is no longer if it will happen, but rather when it will happen. Whenever it does, it will be revolutionary. There is no sign of market location. Good luck next time . This image shows Shoprite ikeja city mall in Lagos, Nigeria. 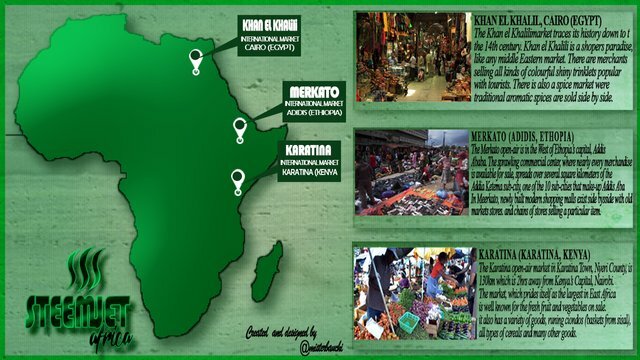 It is a market that sells a variety of goods and services from clothes to food to electronics to movie viewings. Due to the record keeping ability of the steeem platform, accounting is easier and less error prone. Financial Security is higher because transactions are transparent and traceable. ALL ENTRIES THAT ARE SUBMITTED ON TIME AND OBEYED THE CONTEST RULES ARE VALID MY FRIEND!! 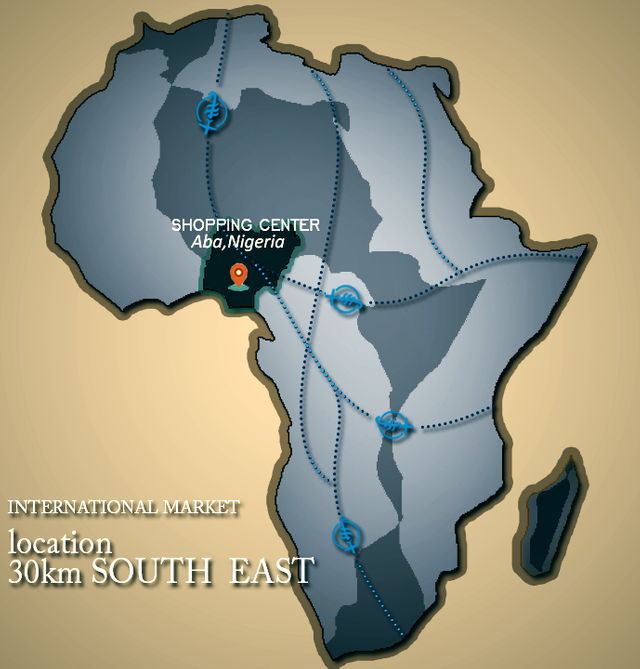 Idumota market is one of the biggest market in lagos Nigeria and it is located on the island area of lagos. Vertual everything you need for fashion can be found in this market and the fact it is a popular market will be a good idea to introduce steem for trading. If steem is been introduced to this market, i will drastically reduce the high rate of theft which has been a major set back to the market. Sorry Entries has closed!! Good luck next time.